I stand for a carbon trading or taxation scheme! I stand for incentives to reduce emissions from transportation! I stand for decarbonizing Australia’s energy supply! Meet Durrmu Arts Aboriginal Corporation! How to choose the perfect floor rug for you! With over forty years’ experience, this ceramicist is a true master of his craft. Malcolm Greenwood has been hand making ceramics since the 70s, well before their recent explosion in popularity. As the saying goes, practice makes perfect, and with over 40 years’ experience under his belt Koskela is honoured to collaborate with this talented stalwart. Working out of his Sydney home studio, Greenwood creates tableware for many of Australia’s finest restaurants and has produced a couple of collections for Koskela to sell in store. More recently, we tasked him with making our Ceramic Licht Pendants. Their elegant shape is formed using stoneware clay imported from Japan, and each one bears marks from the handmade process. Available in two sizes and three colours, they are a true pieces of functional art! We caught up with the maker himself to find out more about his craft. What was your path to becoming a ceramicist? This is quite involved. My interest was first piqued when I drove past the first Potters’ Society Gallery in Woolloomooloo in the early 70s when I was doing my apprenticeship as a fitter and machinist. I then took my first class when I was at business school in the USA, finally moving to Boston where I met my teacher Makoto Yabe who I worked and studied with on and off from about 1976/77 until 1980. I continued making pots as a hobby while I was working in engineering and the corporate world until I was made redundant in 1989. Since then I have been working professionally as a potter earning my living entirely from making and selling my work. Are there any particular styles that influence you? Makoto Yabe introduced me to Japanese ceramics and the rest is history. I follow the Japanese aesthetic and philosophy, hopefully reinterpreting from a western perspective – I do not make “Japanese” pots. My continual challenge is simple, functional and aesthetically pleasing work. I am particularly drawn to the Shigaraki style of Japanese ceramics. What part of your ceramic practice brings you the most joy? Making (art and functional) work which becomes part of people’s everyday lives. One of the most enjoyable things is having a customer tell me how much joy they get from having their cereal every morning from one of my bowls. How do you make Koskela’s Ceramic Licht Pendants? 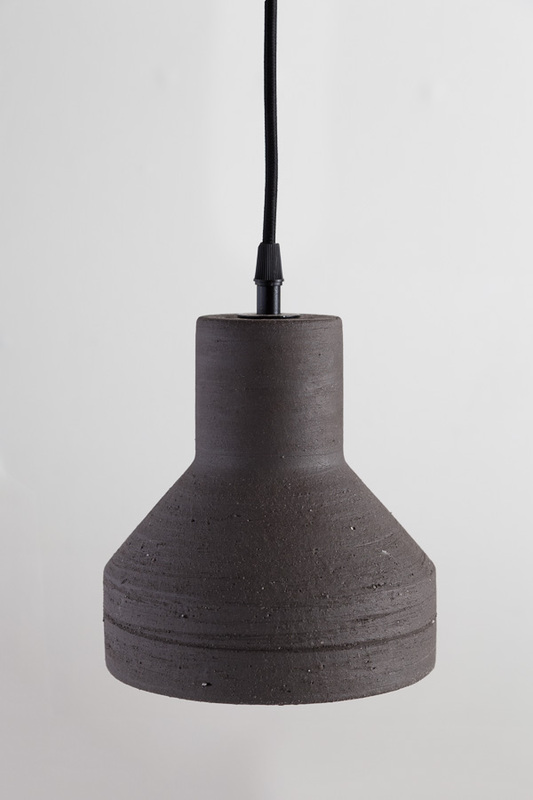 The licht pendants are made from special stoneware clay I import from Japan. They are formed using the jigger/jolly process. A while slip (clay) is applied to the inside surface, followed by a clear glaze. The lights are then fired, once, to 1300 degrees Celsius. What would be a dream commission? I still get a huge “buzz” from making all the tableware for a new restaurant and seeing it in use. My dream commission however would be to be able to do a permanent installation of maybe 15 large “heads”. I have another installation idea germinating at the moment and I would love to have the time to turn it into reality.